Money, money, money. Every photographer is different and every job is different. So what are you supposed to charge for your work? In this episode, we cover what you need to know to determine how much you should charge and give you ideas on how to be confident with your pricing. 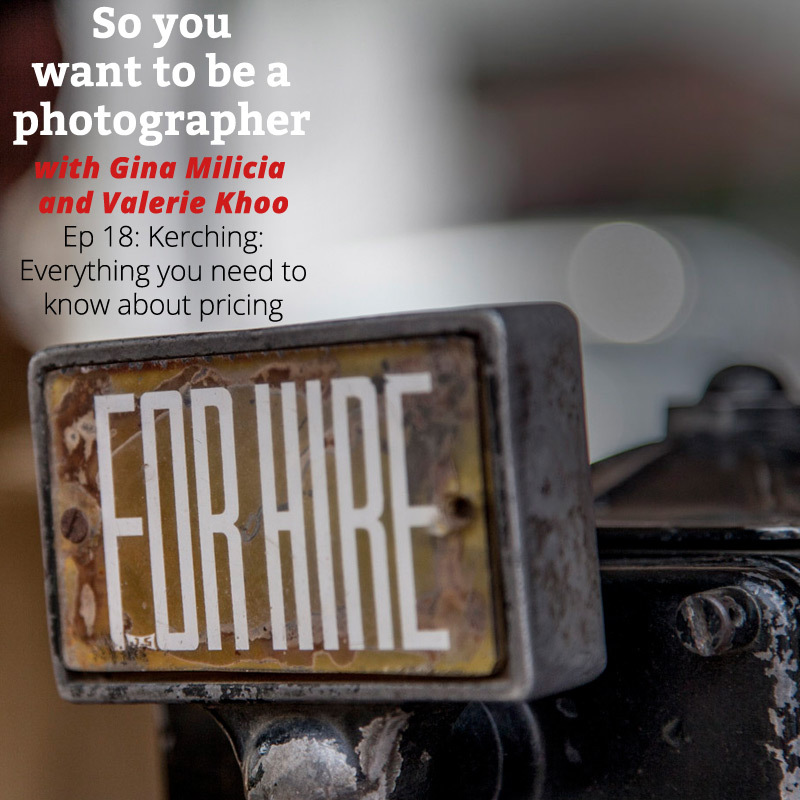 Gina and Valerie chat about different types of pricing for different types of photography, and discuss the most common fears photographers have when quoting – and how to get over them. Listener questions answer and this week’s theme for #ginachallenge is “luxury”. Listener questions from: Confounded in Cupertino and Ashley from Boston. How to focus and get the right exposure when you’re shooting in the dark? How to charge for services and be confident in pricing. Quote from Steven Pressfield, The War of Art: Break Through the Blocks & Win Your Inner Creative Battles. Part time photographers and enthusiasts have an opportunity to charge premium prices because they are not relying on photography to live on. What are the different ways you can price yourself? Stock photographers sell per file per use. What is the total cost of doing business? As a basic rule of thumb your gross income should gross approx. 2.5 times what you want to take home.